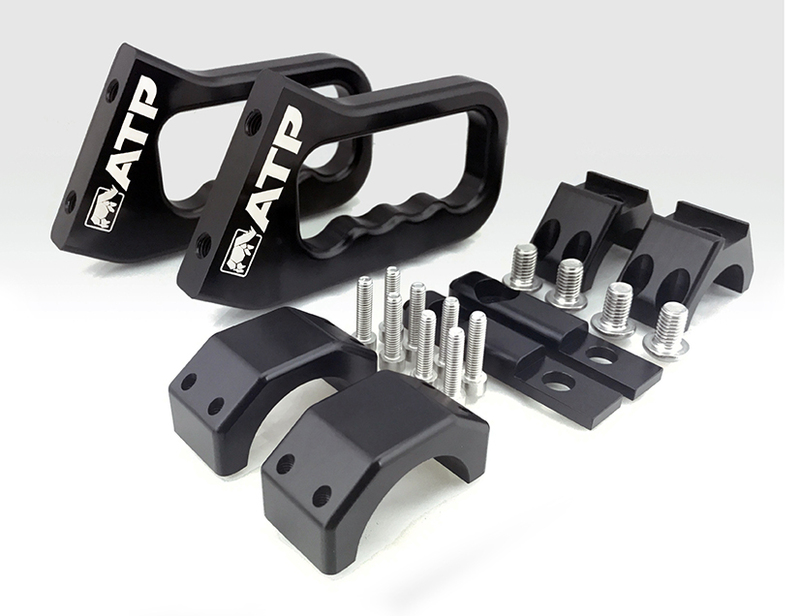 Our Billet Grab Handles, and all other ATP products are designed to meet the performance demands required by off-road enthusiasts in every situation. The ATP Billet Grab Handles are manufactured in the USA with functionality in mind while adding some style to the interior of your Jeep. The front grab handles are manufactured completely from 6061-T6 Billet Aluminum. The handles are sold in pairs. Installation of our handles can be achieved in minutes and only required two metric allen tools, installing the handles, and securing with supplied stainless hardware. Manufactured and Designed in the U.S.A.